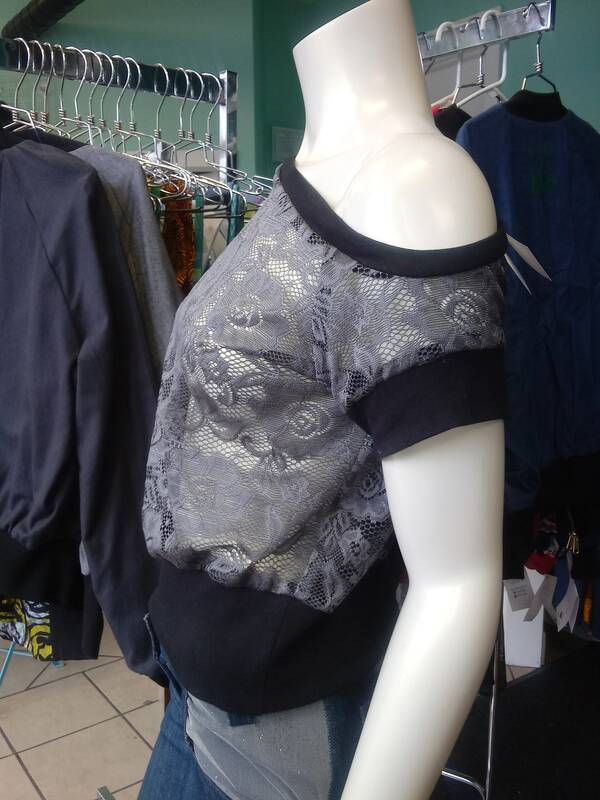 At the intersection of comfort and fashion, this flirty off shoulder top will step up your casual game. 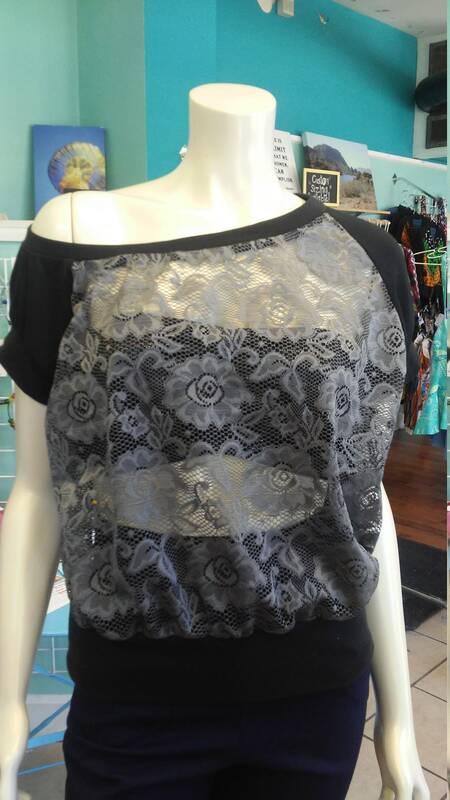 Made from grey floral lace, finished with black ribbing. 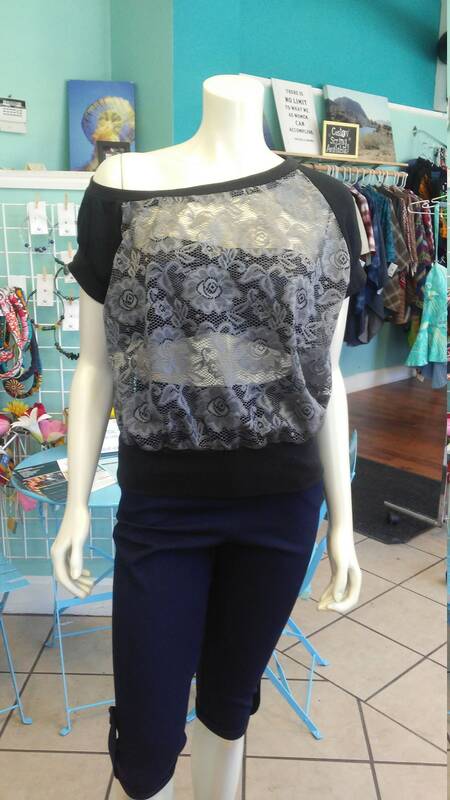 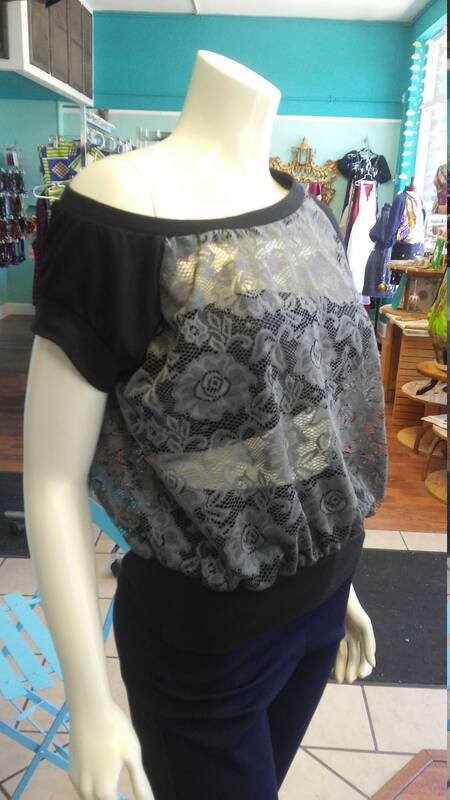 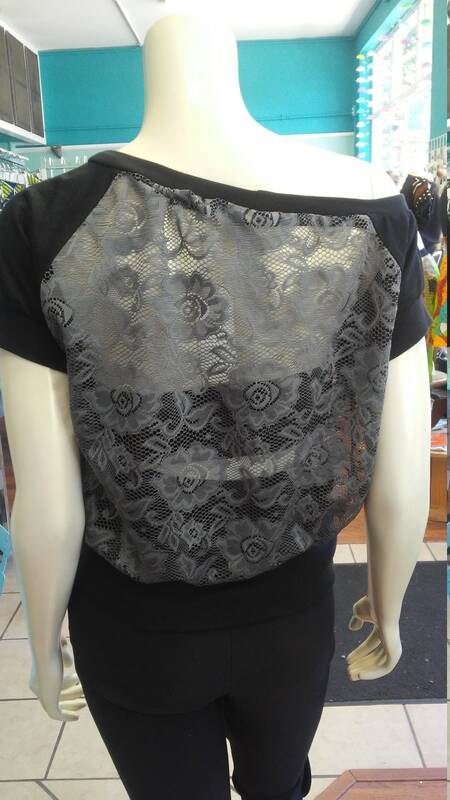 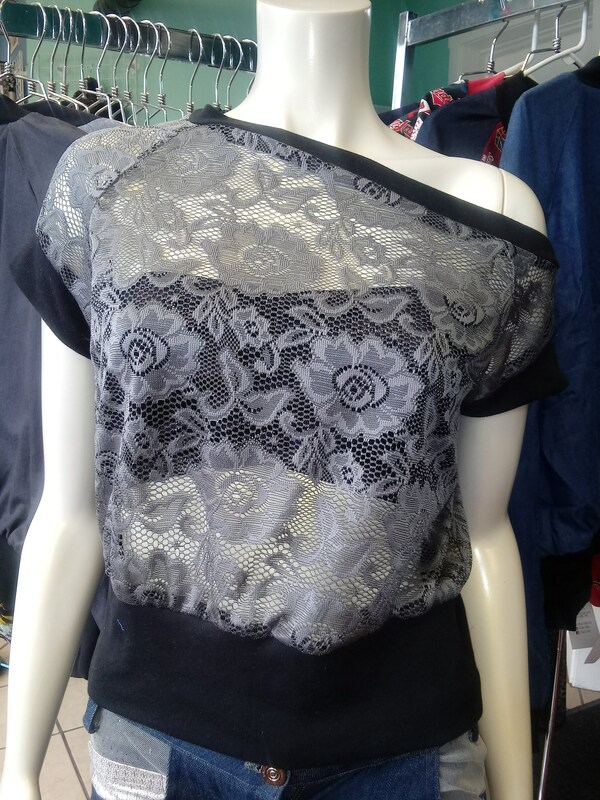 Size small has lace sleeves, size large has black knit sleeves. 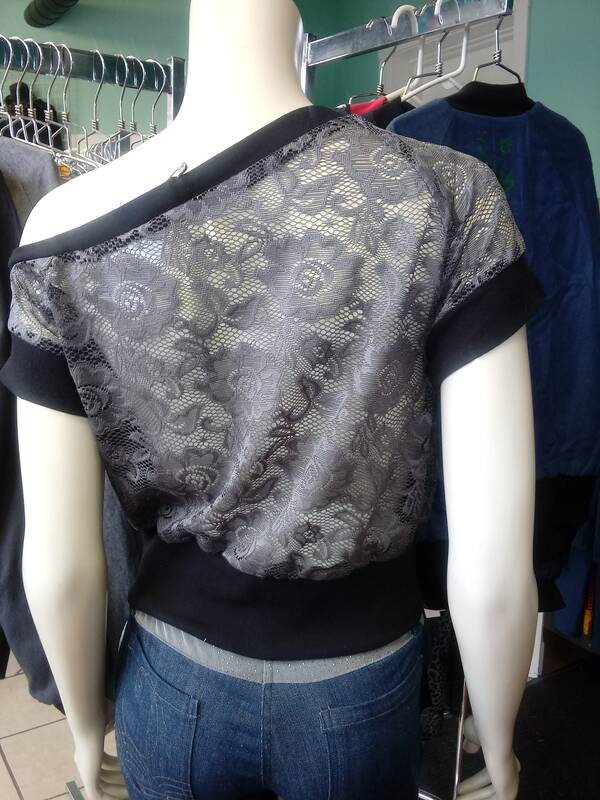 Easy care, machine wash cold.